American Tank Company’s Vertical Polyethylene Storage Tanks are the number one choice of petroleum professionals nationwide for DEF Tanks (Diesel Exhaust Fluid Tanks). 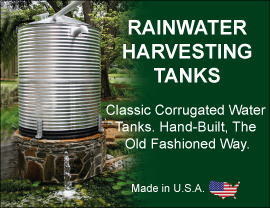 Available in both Premium Weight and Heavy Weight Blue, these rugged and durable DEF tanks are available in a wide variety of shapes and sizes to fit most any DEF storage requirement or application. DEF fluids can corrode some metals and must be stored and transported in tanks that are not adversely affected by the storage of Diesel Exhaust Fluid. Most petroleum industry professionals acknowledge that Aboveground storage Tanks (ASTs) storing “oil” are regulated by EPA under the Spill Prevention, Control and Countermeasure (SPCC) rule. Since DEF is composed of Aqueous Urea, which does not meet the SPCC definition of “oil,” the EPA does not regulate ASTs containing DEF (including drums, totes, IBCs and poly tanks). Please note when putting in DEF Storage Tanks at your facility that some states and local jurisdictions have implemented regulations that are more stringent than the federal rules and regulations. It is very important that you check your state and local regulations before installing any tanks for the storage of Diesel Exhaust Fluid (DEF). For help in selecting your DEF Tank, please call toll free 1-800-655-9100.